This is my version of chocolate crackles, albeit in ball form. I recently caught up with a good friend and we ended up at the Marrickville markets which are held every Sunday. As we were leaving the markets we decided to pick up a healthy little treat for our walk home. We each had a raw almond and ginger ball for $3.00 each. Whilst delicious, they were rather pricey which inspired me to whip these little beauties up when I got home. These are great because they satisfy any sweet craving and most importantly they are good for you - think healthy fats, fibre, protein, magnesium and other great nutrients. I wasn't sure they would work and when I tried the mixture it was quite cacao-y but placing them into the fridge to set allowed the flavours to meld and the caramel flavour from the dates to shine through. The combo and texture instantly reminded me of the chocolate crackles we all know and love. Pete has since finished them off so I find myself ready to make another batch. I might try the almond and ginger variety this time. Stay tuned. In a food processor, whiz together cashews and walnuts until they resemble a fine crumb. Then break up the dates, removing the seed if you haven't already done so and add them to the nut crumbs along with the remaining ingredients and whiz together until combined. 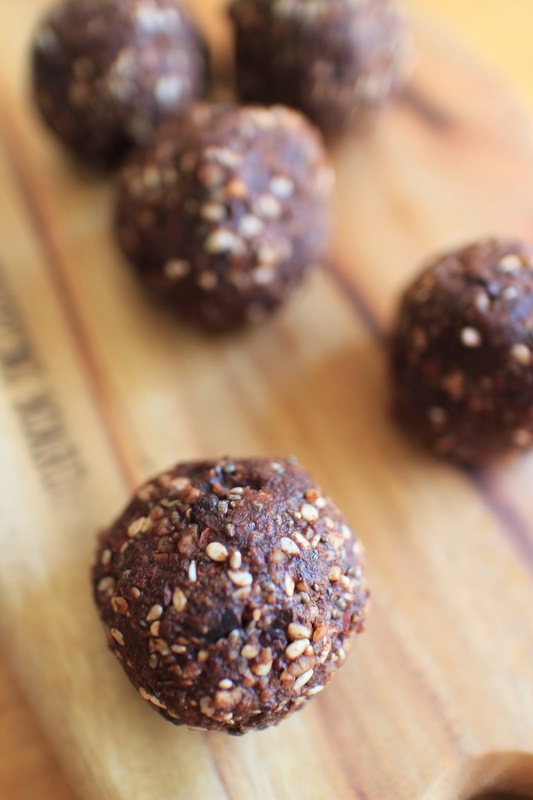 Roll mixture into small bite size balls using a heaped teaspoon for each one. Store them in the fridge in an airtight container for up to two weeks ( if they last that long - which they won't!). Do you enjoy raw food treats when you are out? 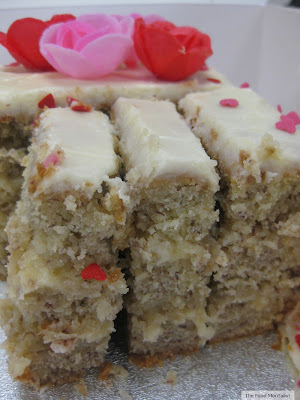 What are your favourite flavour combinations? 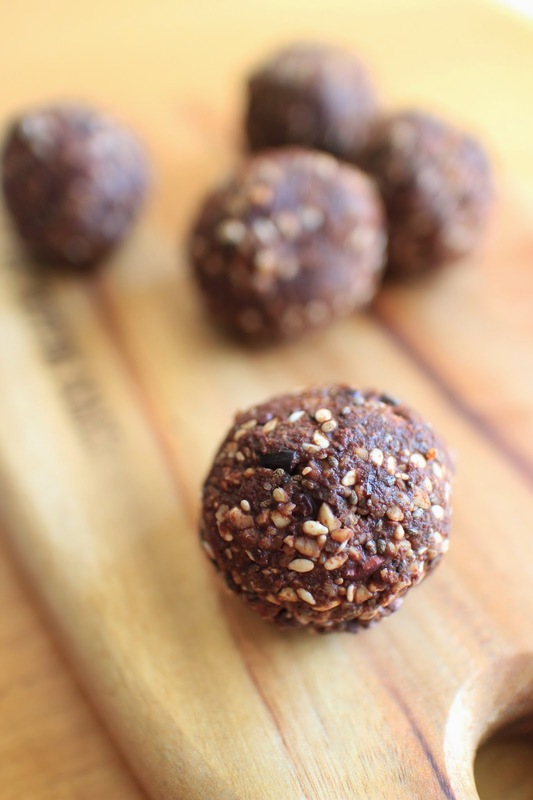 I love this Healthy Chocolate Crackles Balls. Thanks to share this idea with us.